Ugh, will they ever go away?! The New England Patriots are like a recurring nightmare that’s been tormenting us for decades. When George Lucas created Star Wars, he may as well have been preparing the world for the evil empire takeover that is Pats Nation. Whether it’s quarterback Tom Brady, coach Bill Belichick or the brash Boston fan base, no team makes winning insufferable like the Patriots. Success is great and all, but the New England Patriots have somehow managed to find a way to make being a champion a yawnfest. If it feels like the Pats are always one of the last teams standing in the playoffs, it’s because that’s as close to a guarantee as any sport has ever experienced. New England has reached the AFC Championship an unfathomable eight straight years! That means they’ve been one of the final four teams dating back to 2011. 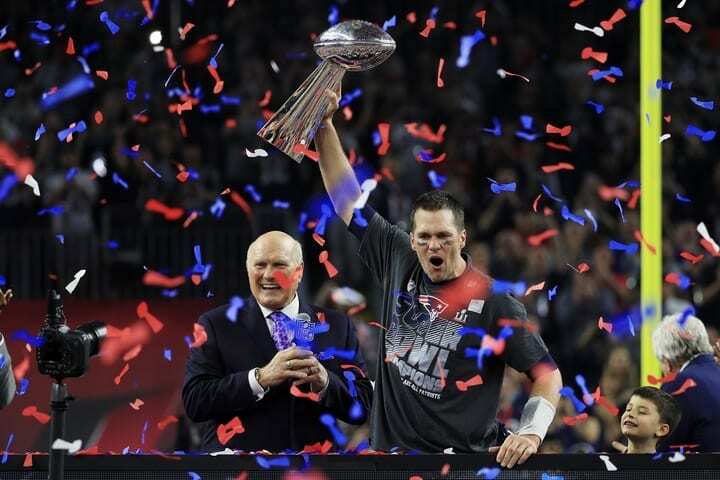 In the last five years alone, the Pats have made four Super Bowl appearances! Tom Brady has won more playoff games than 18 NFL teams… That’s a wrap, folks. As if it isn’t hard enough to watch Tom Brady assert himself as the most dominant quarterback in the game for nearly two decades, when he takes off the helmet, he’s still dominating life! It’s like some sort of sick joke. After destroying the opposing team on the field, everyone has to watch a male model talk about how great the win was. This is what people mean when they say, “Life isn’t fair.” The man even made a bizarre mop top bowl cut hybrid look like a legitimate hairstyle. If news breaks that TB12 sold his soul for these gifts…. Well, we’re probably next in line to sign up, because it’s looking like a pretty sweet deal so far. When your name is in the GOAT discussion across all sports and you’re moonlighting as one of the most desirable male models in the world, what more could you possibly want? Well, marrying one of the most beautiful, powerful and successful women in the world feels like a great start. Brady has been married to supermodel Gisele Bundchen since 2009. Don’t be fooled by Brady’s celebrity. The three-time MVP may be the one dominating the headlines, but Bundchen roughly doubles his estimated net worth at a staggering $400 million! If these two were fictional characters, their complete lack of flaws would make them sound too unrealistic. Tough life, but someone’s gotta live it. 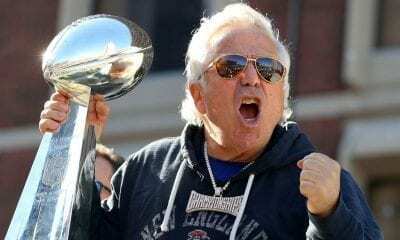 Sometimes, it feels like owner Robert Kraft’s primary goal is to make sure that, win or lose (minus the lose part), his Patriots will always have the most attractive team in the league. Seriously, Kraft may as well just rename Gillette Stadium the New England Modeling Agency. Either that or make them all Gillette ambassadors. Just as TB12 keeps jaws dropping and heads turning on a swivel, his chain of wide receivers have been quick to follow suit. 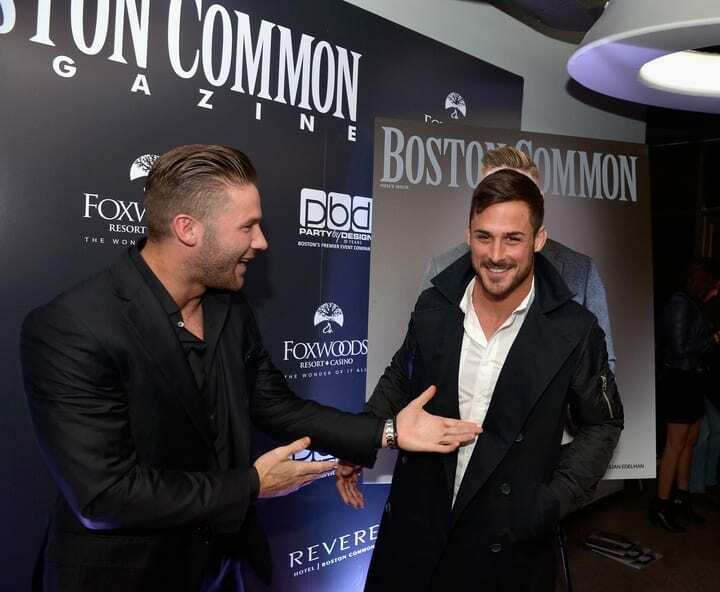 There’s Wes Welker, Danny Amendola, Julian Edelman, even Eric Decker made a quick pitstop in Foxboro before announcing his retirement prior to the 2018 season (probably just swung through for a photo shoot or two. Looking good has never been so hard to watch. 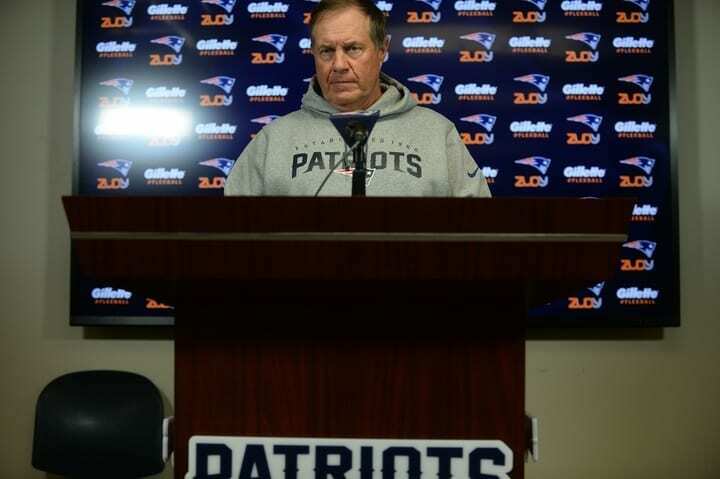 The only thing about the Patriots that is more consistent than them winning is that Bill Belichick will deliver some ridiculous lines in his infamous press conferences. It’s generally par for the course to expect coaches to offer plain vanilla answers to avoid giving away any important information teams could use. Belichick takes it to a completely new level. His demeanor is the spitting image of consistency, and his comments are so blunt and bland that it’s legitimately hard to tell when he’s being sarcastic, when he’s angry and if he’s capable of feeling joy. For those who don’t learn to love it, seeing a microphone in front of Belichick is like putting a mic up to nails on a chalkboard. He may not say anything to the media, but the storm of genius in Belichick’s mind is constantly raging. 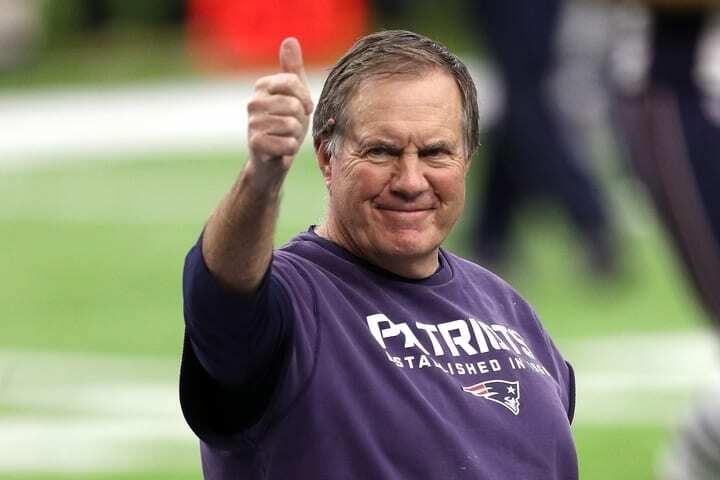 Without a doubt, the Pats have been the best coached team in sports since Belichick started calling the shots. Even when New England hasn’t had the most stacked team in the NFL, his weekly game plan always makes it look like their talent is unmatched. That often gives the illusion that the entire coaching staff in New England is filled with geniuses. Not the case. The assistants may be under Belichick’s wing, but they can’t borrow his brain. Belichick doesn’t just send off his assistant coaches to go sink another team’s ship, he’s boldly gone out and done the dirty deed himself. Belichick was the New York Jets assistant coach from 1997-99. When Bill Parcels retired, Belichick took over as the Jets new head coach… for ONE day! In one of the most cold-blooded moves of his career, Belichick wrote up his resignation letter on a napkin. One more time. A NAPKIN. As if that wasn’t brutally informal enough, he wrote that he was resigning as “HC of the NYJ.” A man of few words, even on paper. 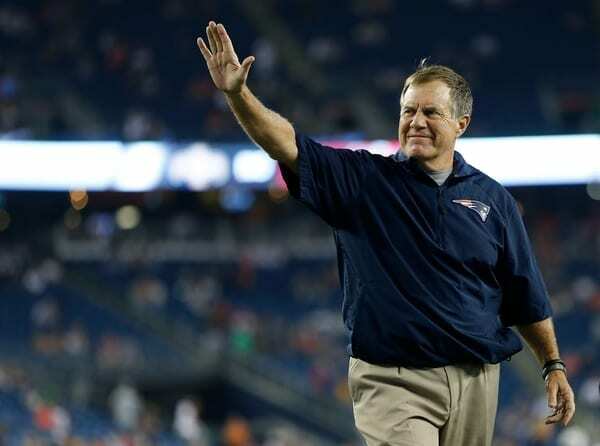 After walking away from the Jets, Belichick promptly signed on to be “HC” of the Pats. The rest is history. There are a lot of attempts at explaining exactly what “The Patriot Way” means. Forget all of the theories that involve a game plan. There’s a much simpler explanation: Make everyone angry. 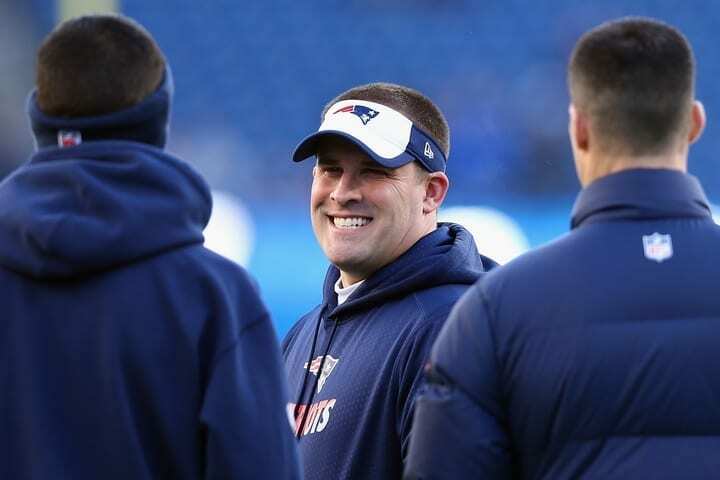 Just like Belichick ditched out on the Jets after 24 hours, longtime offensive coordinator and quarterbacks coach Josh McDaniels followed suit. Not only did McDaniels pull a Belichick when accepting the Indianapolis Colts head coaching position in 2018, he one-upped him in a big way. Merely hours after the Colts announced McDaniels’ hiring, their new leader apparently had a change of heart. Who knows, maybe he was really playing the long game in getting back for a certain shot the Colts previously took. 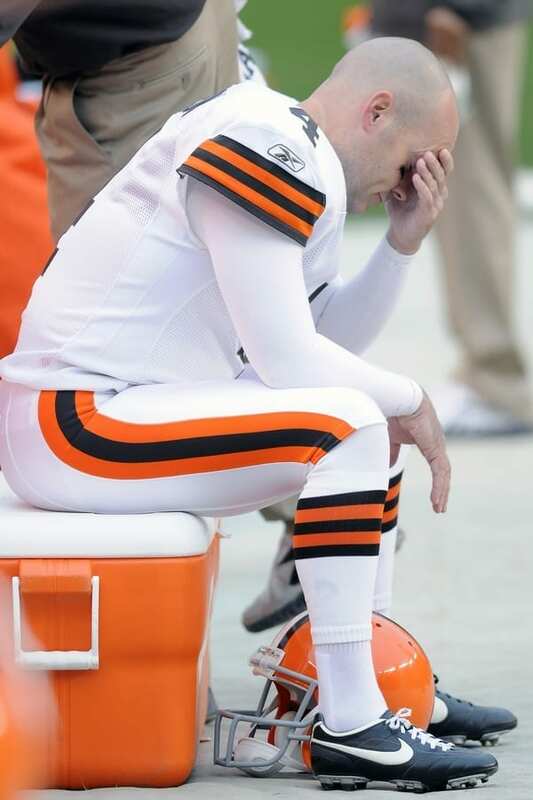 Aside from the poor AFC East teams that have to share the same division as New England, no squad suffers more at the hands of the Patriots than the Cleveland Browns. It seems like the Patriots are constantly looking to make a trade with the Browns or signing guys right after being cut. There may be no better example than the 2013 Browns roster that had a completely unreasonable 14 players make their way to the Patriots over the next two seasons. 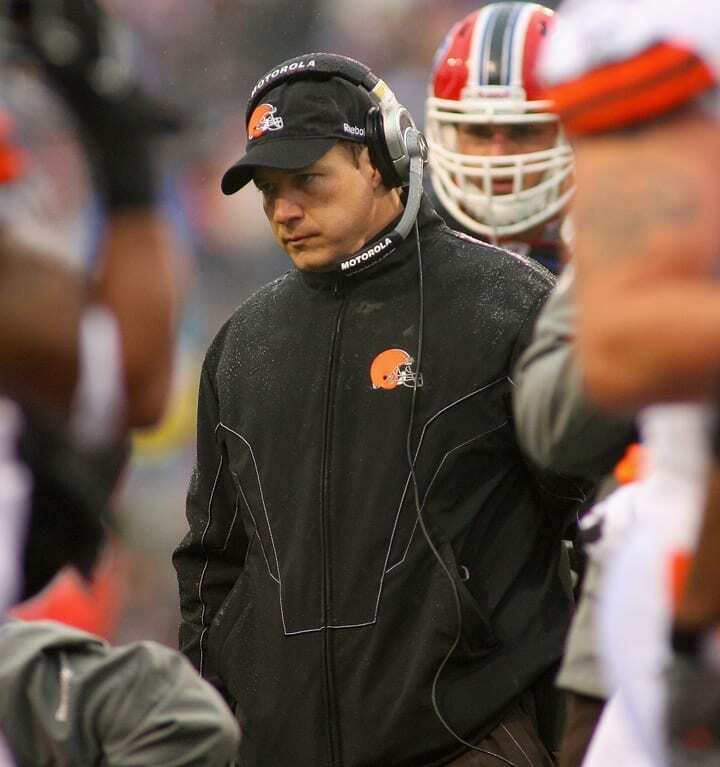 Don’t be fooled by Belichick’s robot mannerisms, the man probably holds a grudge unlike anyone. Belichick’s first run as a head coach was in Cleveland from 1991-95 before they fired him. Whoops. By far one of the most frustrating things about New England’s success is that time and time again, they take average players and total no names and turn them into absolute studs. Despite having a slew of terrible draft classes, the Pats somehow manage to seemingly pick random guys off the street and turn them into household names. Everyone seems to be a diamond in the rough in the Pats’ eyes. There’s 5-foot-8 running back Danny Woodhead who played Division II, went undrafted, then struggled with the Pats before helping the Pats reach Super Bowl XLVI. Then there’s 5-foot-9 wide receiver Wes Welker who bounced from the Chargers to Dolphins before transforming into a First Team All-Pro talent in New England. Nate Ebner was a rugby player who never played football until college, while Chris Hogan was a lacrosse player who only had one year of college experience playing football. They are now both Super Bowl champs with the Pats. No team has mastered the art of lopsided trades like the Patriots. In 2007, the Pats traded with the division rival Dolphins. New England gave up a second and seventh-round pick in for Wes Welker, who enjoyed five Pro Bowl appearances and led the league in receptions three times! 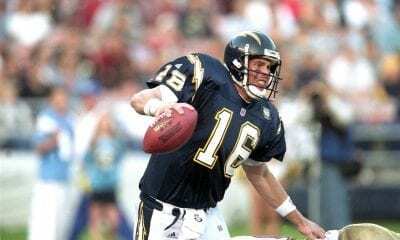 That same year, the Patriots traded a fourth-round pick to the Raiders for Randy Moss, whose record-setting performance led the charge in an undefeated season that wasn’t snapped until Super Bowl XLII. The examples continue on, but the message remains the same: A trade with the Patriots means accepting the worse end of the deal. Ahhh, enough of this voodoo black magic! As Tom Brady continues to slowly reveal to the world that he’s actual a vampire and cannot age, he also lets us in on his personal life. What we mean by that is he keeps selling his personal lifestyle brand. In 2017, Brady released The TB12 Method: How to Achieve a Lifetime of Sustained Peak Performance. The 40-year-old QB unveiled his holistic approach to how he stays healthy. The TB12 Method has morphed into a health and fitness brand that feels like it’s working its way up to a full-on Herbalife pyramid scheme. Pliability and avocado ice cream have never been discussed so much. The Patriots may be New England’s team but, in one state, that feeling is not entirely mutual. Amongst the many cities to have ended up on the wrong end of a deal with the Patriots is Hartford, CT.
Hartford may not have an NFL team… but that’s exactly the point. 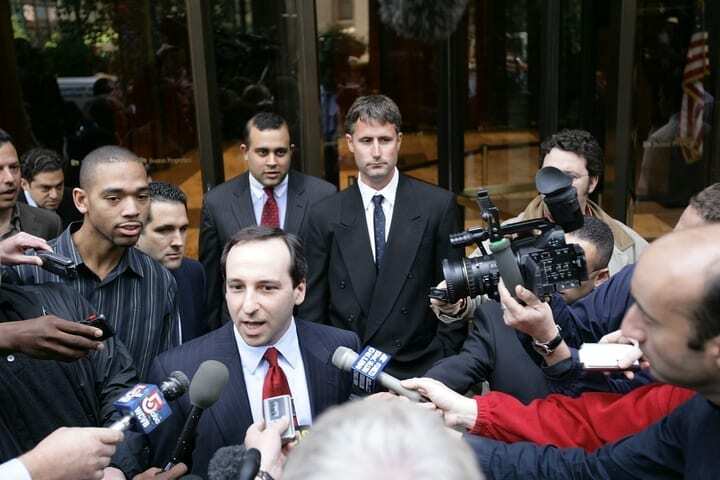 In 1998, Robert Kraft didn’t just consider coming to Connecticut, it looked to pretty much be a done deal. 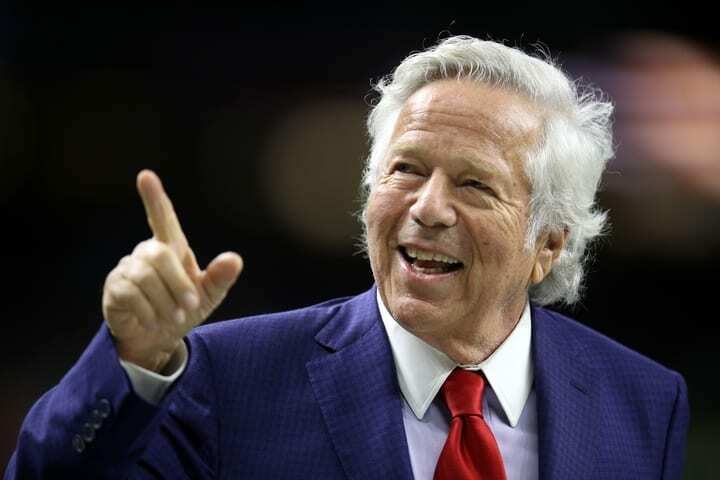 Kraft reached a deal with Connecticut Governor John Rowland but, when there were indications the stadium’s construction would face delays, he backed out of the deal. Since Kraft backed out in 1999 and chose to remain in Foxboro, many Connecticut residents were left with the same heartache as when their beloved Hartford Whalers left. Is there anything worse than deflated balls? Wait, don’t answer that. We’ll just go with no. Sitting right atop the mountain of sketchy moves the Pats have pulled to get a ‘W’ is the infamous Deflategate incident in the 2014 season AFC Championship Game against the Indianapolis Colts. 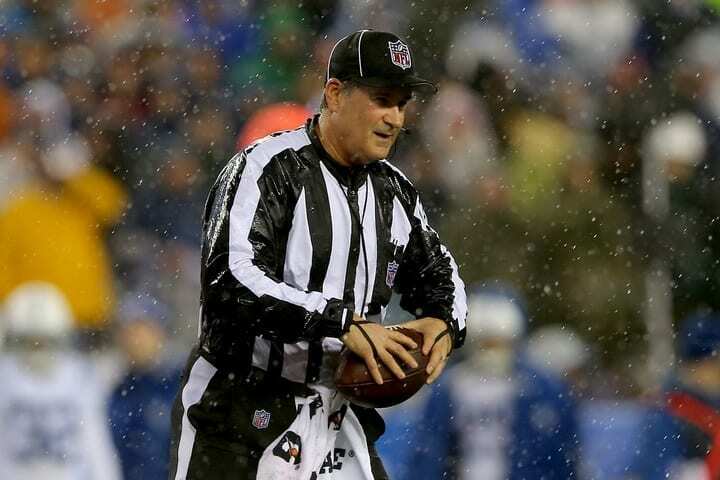 A total blowout that saw the Pats beating the Colts 45-7 was a footnote to the ensuing drama when Indianapolis’ front office accused New England of deflating their footballs below the PSI (pressure) regulation. What ensued was a legal battle that dragged on for over a year with nonstop headache-inducing coverage. The result was a four-game suspension for Brady, but the real victim was every football fan who had to suffer through the most boring debate ever. The infamous Spygate, the one that started it all. It all went down in 2007 when the Patriots got in trouble for videotaping Jets coaches’ defensive signals from an unauthorized area. 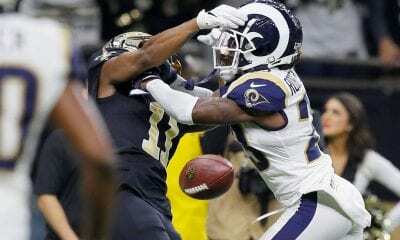 The Pats were disciplined, but it opened a can of worms with claims that they had been doing this illegally since back to their Super Bowl victory over the Rams in 2002. One of the craziest parts is that the Boston Globe published a story citing an unnamed source who claimed to witness the illegal Super Bowl taping later retracted their story and apologized for ever publishing the unsubstantiated claim. Who cares? It’s the Patriots. Guilty! Every NFL fanbase seems to have a special knack for being obnoxious in the worst of ways, but no one matches Pats Nation… not even Eagles fans. 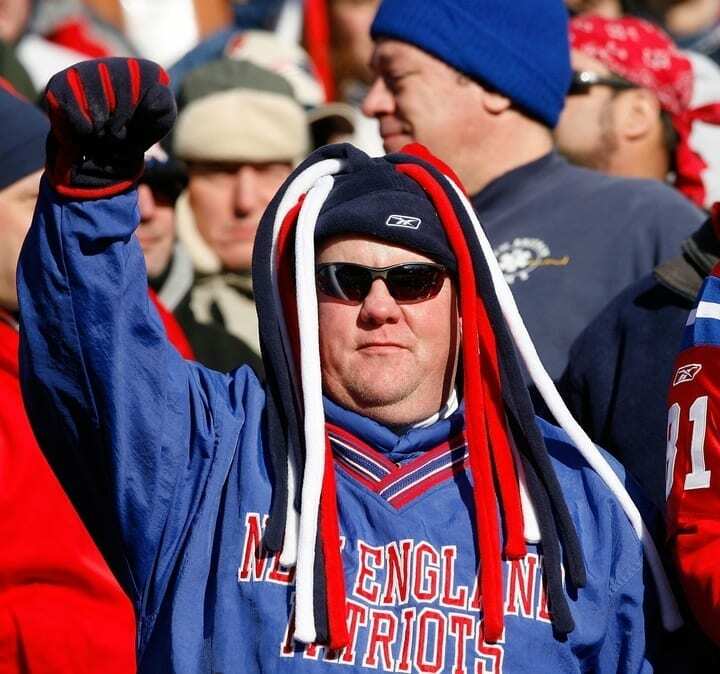 While Eagles fans can be boiled down to simple destructive rage, Pats fans unleash their inner-Masshole upon the world. Being spoiled with a revolving door of championship games will make anyone entitled. Hopefully, that means hating a new franchise soon. Everything that is said or done involving the Patriots seems like it inevitably turns into a ridiculous slogan that promptly acts as gasoline on New England’s ever-burning pyre of hateability. The most obvious one is Belichick’s “Do your job” slogan, which has turned into every sports anchor’s go-to line about what they do. 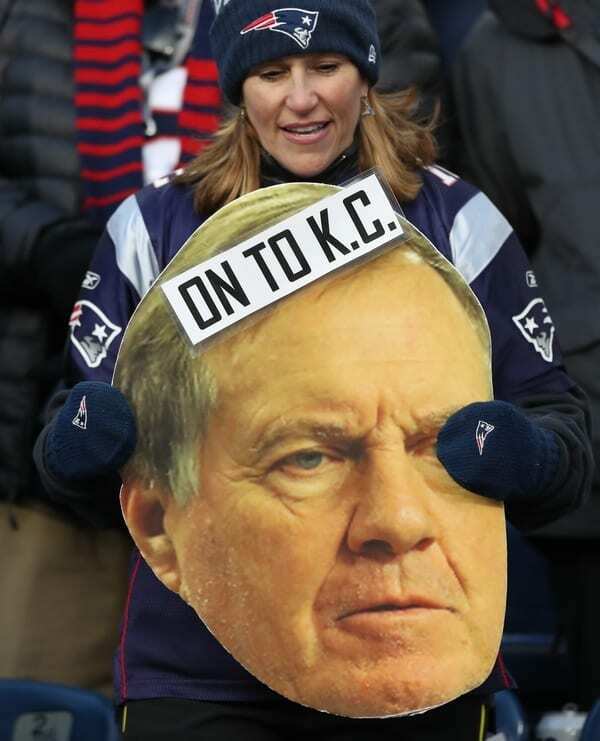 Then, we got Belichick’s “We’re on to Kansas City.” Only he can intentionally try to say nothing and have Pats Nation turn it into words to live by. They don’t even have to say anything! The Pats’ insane comeback Super Bowl win over the Falcons. Down 28-3 in the third quarter, the Pats turned 31 unanswered points into an unforgettable Super Bowl and a novelty bumper sticker, t-shirt and whatever else they put it on. The NFL is a cutthroat league. If a player isn’t contributing to the team (even if it’s due to injury), getting cut is always a looming fear. No team in the league makes that clearer than New England, as even big name talents are released without warning. By far the worst example of this was when the Pats reached Super Bowl XLVI. 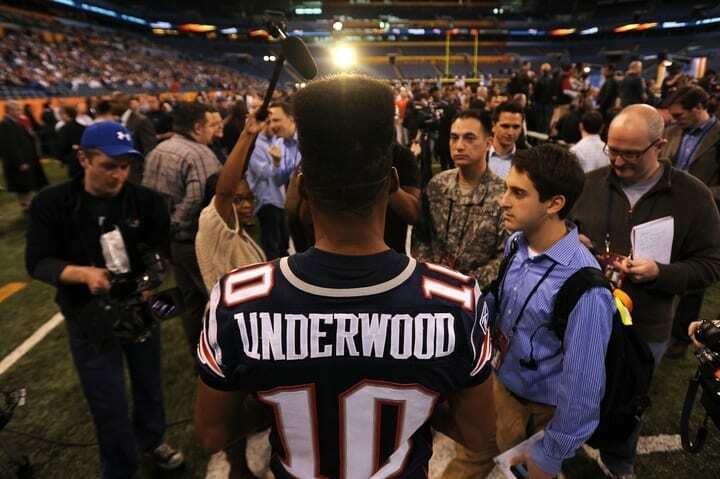 Wide receiver Tiquan Underwood showed just how excited he was for the big moment on media day, flaunting an intricate Patriots emblem he had buzzed in the back of his head. His flashy haircut wasn’t enough to save him from getting cut the night before the big game. Brutal. 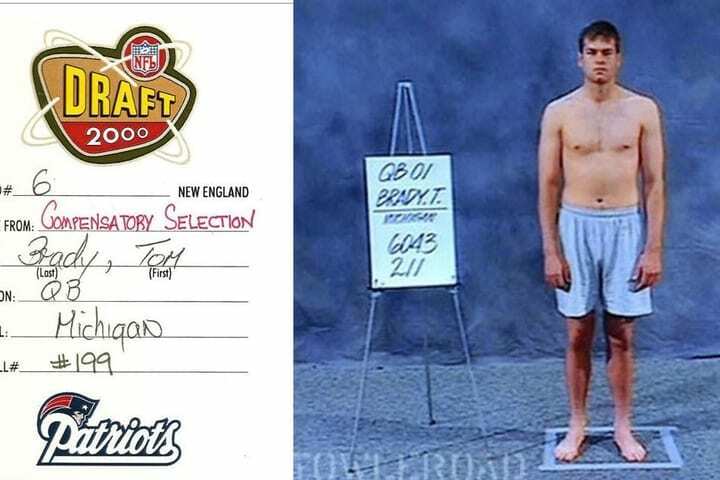 Tom Brady’s impressive lack of athleticism when running has been an easy target since his infamous draft 40-yard dash at the draft. Despite his notorious lack of speed and agility, Brady still found a way to master the most frustrating run play in football: The quarterback sneak. The lanky quarterback has pretty much claimed the run as The Brady Sneak, because his turtle-like speed apparently translates to a turtle-like ability to disappear into his offensive line shell to safely convert the third-and-one for a first down every. single. time. Even when he’s comically bad at something, Brady manages to take away the joy in it. Here it is, the moment that kicked off the Patriots dynasty. 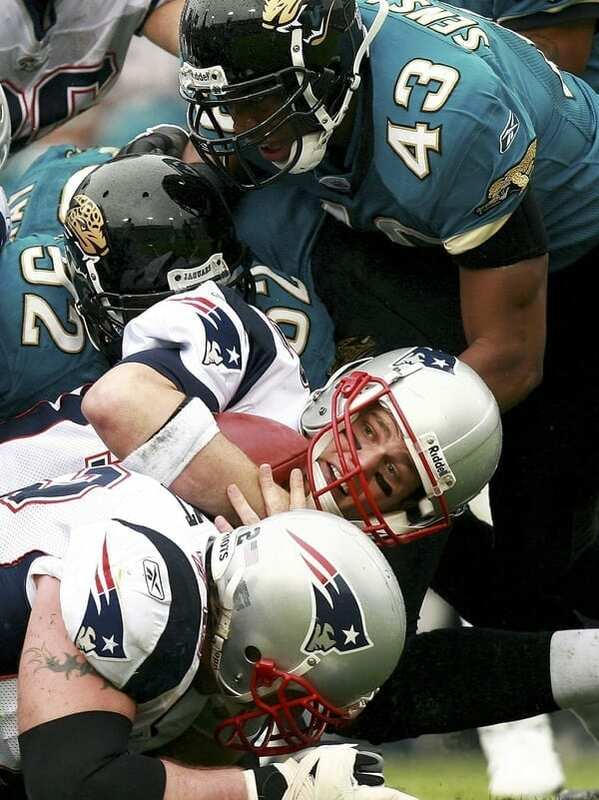 The 2001 AFC Division Playoff game known to Pats Nation as the Snow Bowl and the rest of the world, the Tuck Rule Game. 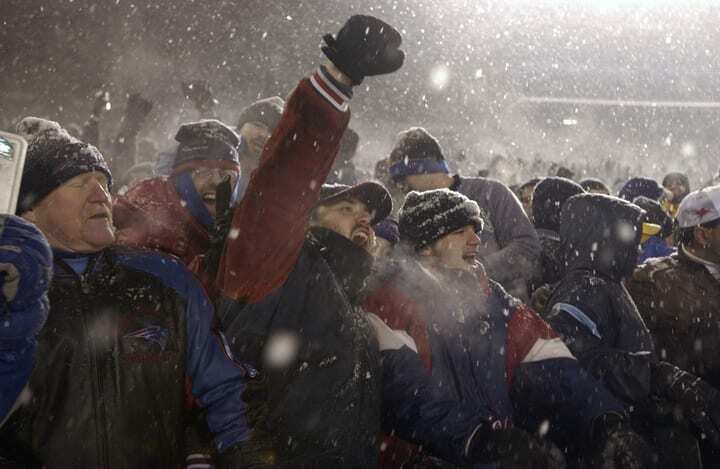 A snowy playoff game against the Raiders that changed everything. The Patriots were down by a field goal with less than two minutes left in the game. Raiders defensive back Charles Woodson sacked Brady, forcing a fumble that was recovered by linebacker Greg Biekert. That should have sealed the game for the Raiders… except when officials reviewed the play, they ruled Brady showed “intentional forward movement of his arm,” indicating a forward pass. Pats get the ball back. Kick a game-tying field goal and another to win it in OT. Feeling like there simply aren’t enough players to despise on New England’s roster this year? We can change that with a little nostalgia of hating on the Patriots of the past like Rodney Harrison. Ugggh, Rodney Harrison! The man is one of the dirtiest players to play the game. By the end of his career, Harrison had wracked up over $200,000 in fines. If that isn’t a telling enough sign, then the fact that a 2004 poll had players rank him the dirtiest player in the league. Still not enough? In 2008, NFL coaches were polled, yielding the same results. Woof. 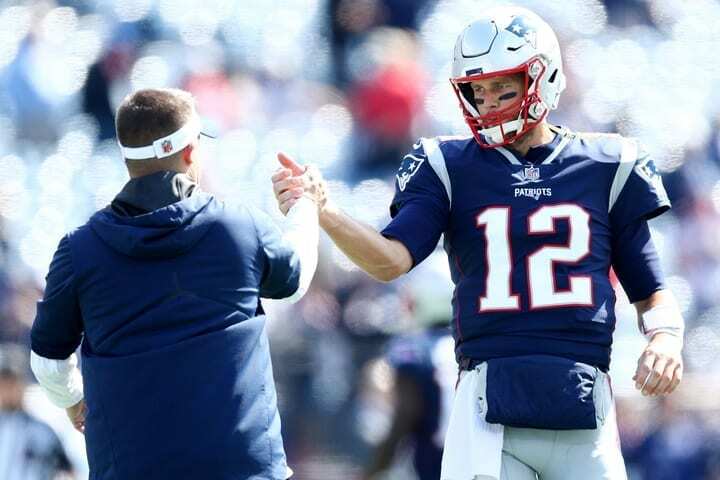 New England’s knack for making everyone look good isn’t just true for quarterbacks and coaches, they make every backup look like they have a little Brady in them. One of the clearest examples came in 2008 when Brady went down with an ACL injury, paving the way to make perennial backup Matt Cassel look like a legend. After leading the Pats to a remarkable 11-5, Kansas City thought they saw their quarterback of the future. Instead, what they got was one winning season in four years before giving him the boot. 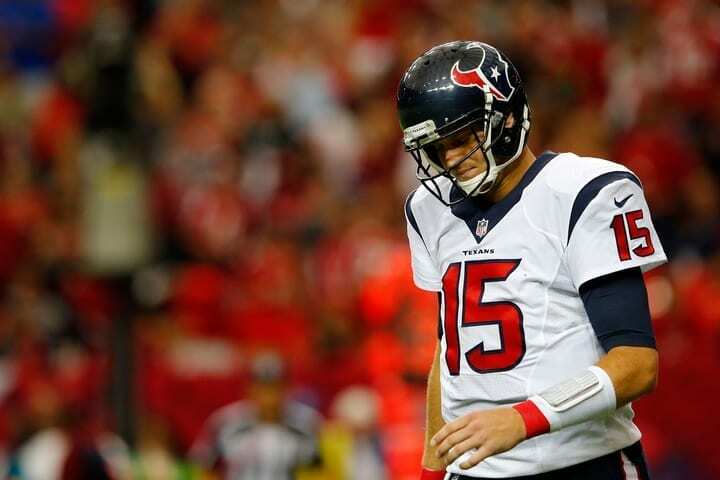 Then there was Ryan Mallet, who the Texans traded for only to start him a few games before running into a slew of problems that ended in him being cut. Hopefully, this doesn’t turn into some dark jinx after backup Jimmy Garoppolo got his big shot when a 2017 trade landed him with the 49ers only to suffer a torn ACL after a few promising games. Without a doubt, the most iconic of the many Bill Belichickism Patriot slogans has become “Do your job.” It’s been repeated so many times by players, coaches, analysts, articles, t-shirts, posters (you get it) that it’s impossible to not have it drilled in the brain. The worst part about it is that this stupidly simple concept… really seems like it’s a concept other teams can’t grasp. Why is this so impossible for other teams? Why can so many professional athletes not understand the simple notion of focusing on what needs to be focused on? Why can professional coaches not find a way to help professional athletes do LESS? Now that we’ve raised our blood from a simmer to boil, let’s move on. Where there is success in sports, there will inevitably be media coverage. That means, in the Patriots’ case, the coverage is nonstop. Eventually, there can only be so many ways to tell the exact same story, so we’ve been made to suffer a recurring nightmare that is waking up every morning to hear a “new” angle on how remarkable England is blah blah blah. Then, there is the exact same story that doesn’t even need a new twist… because it’s about Tom Brady. The man who was drafted all the way down in the sixth round of the NFL Draft with Pick 199. Maybe it was a little touching to see Brady’s emotional interview about all the quarterbacks selected before him, but this life is not A Christmas Carol, we don’t want to watch this scene over and over every year like it’s a Super Bowl holiday flick. What’s the point of having cake if you can’t eat it too? New England is the spoiled child who gets exactly what if wants and more. At least it’s easy to knock the Pats for being in boring old Foxboro, living that suburbia lifestyle. Until we see tight end Rob Gronkowski. Not only do the Patriots have a once in a generation player, they got a hilarious giant teddy bear whose constant shenanigans make him impossible to hate. Why can’t we get a bad guy meathead Gronk straight the movies taught us is supposed to exist. He may be the bane of everyone’s existence on the field, but off the field, “Yo soy fiesta.” How can we hate Gronk when he is party? New England thrives on controversy. Along with all of the “Gates” that have come out during the Patriots dynasty have been all sorts of plays that have driven the football world mad. Take it back to the 2003 AFC Championship game against the Colts when the Pats defense pretty much looked like they were told to intentionally try to commit illegal contact, grab, push and hold on at every opportunity available. The holding was so bad that there was a rule-change instituted against it. Then there was the equally infamous ineligible receiver play against the Ravens in the 2014 AFC Divisional Round game. A sneaky little shift by the Pats technically moved their running back, Shane Vereen, to tight end, Michael Hoomanawanui, didn’t allow enough time for the ref to announce who the ineligible player was, making the right tackle as good as open. When it’s playoff time, all the dirty tricks come out. 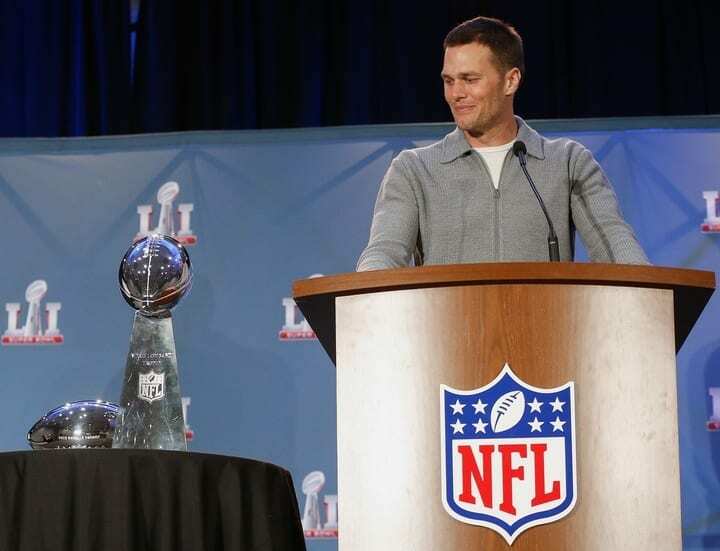 There is no single image aside from Tom Brady holding up an iced out hand of rings that rattles the cage quite like Bill Belichick on a sideline. We’re talking any football sideline, because as long as he’s out on a field, his signature style: The cutoff. 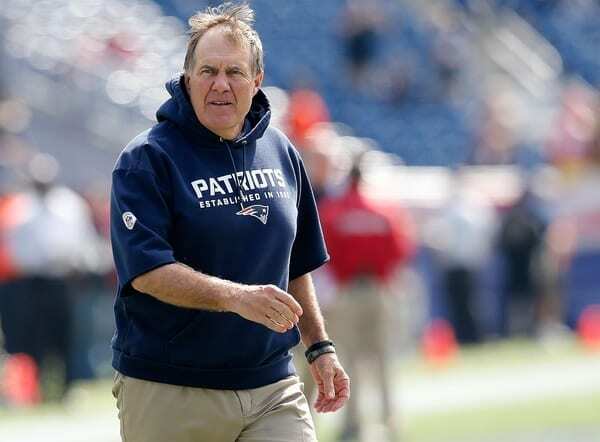 Since Belichick is Belichick, he can’t simply wear a hoodie or a t-shirt. Nope, he needs to do his terrible hybrid look by taking some scissors to a hoodie and hacking off the sleeves in LITERALLY the least graceful way possible. Sometimes he even has one of the chopped up cutoff hoodies on top of another hoodie, suggesting the second layer probably isn’t too useful. If summertime swag and winter chic shared a dark secret, Belichick’s wearing it. Okay, we’re going to steer outside of the sports world and into the real world for this one. On a far less lighthearted note, sometimes there are actually legitimate reasons to dislike an athlete, like for something other dominating the gridiron. This brings us to Aaron Hernandez. In just three years, Hernandez had already become one of the top tight ends in the league (even with Gronkowski), but it turned out that the rumors of his troublesome behavior were worse than imagined. 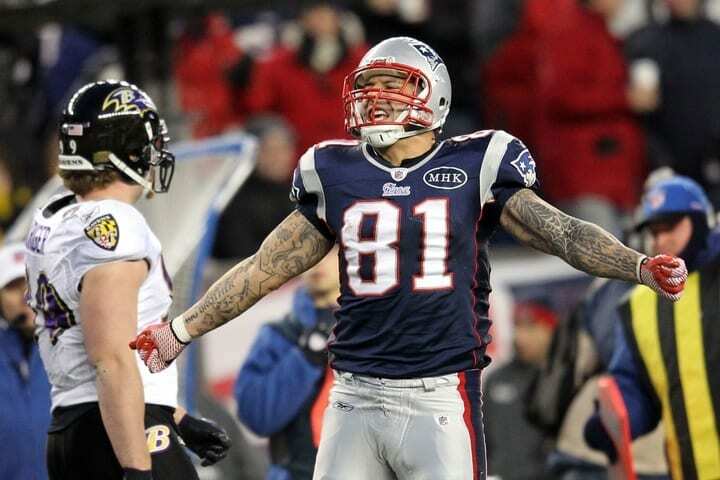 Rumors of violence and drug abuse had followed Hernandez for years, which turned out to be true when he was arrested and jailed for two separate murders. Can we please just Skip ahead to the last chapter next time? – We already know how the story’s going to play out; we know what’s going to happen. Even when they “don’t look as good as usual” during the season, we’re just getting our hopes up. They’re going to be in a championship, it’s just an inevitability. The stars align, and the football gods continue to torture the rest of the NFL as they make a miraculous run to and through the playoffs. We’ve been on repeat to such a ridiculous degree that the Patriots – this move had to be okayed, remember – delivered AFC Championship game tickets to season ticket holders before the season even began. To put it in the absolute nicest way possible… bold move. Except it somehow isn’t, and that just hurts.